Athlete, cancer survivor, prohibition fighter, patient, and cannabis activist. 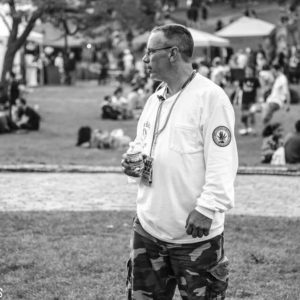 He has been active with MassCann/NORML Since 1993. Member and elected to Board of Directors since 1997. Head of Bones Crew for the early bird volunteers, setting up the Boston Freedom Rally every year, as well as breaking it down with the night owl volunteers. President since 2014. Steve is an avid supporter of Cannabis small businesses and Social Equity. 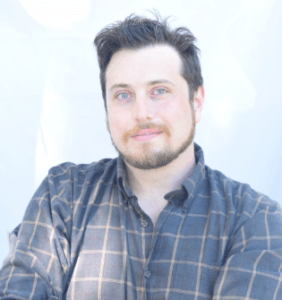 His grow team, QIC Consulting, was one of seven original vendors for the nation’s first Social Equity program as Cannabis Cultivation Educators. Previous to joining the Cannabis industry, Steve ran a successful recording studio in the Hudson Valley of New York. He is an accomplished musician, audio engineer, and composer. 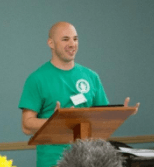 Steve holds a BS in Ecology and Evolutionary Biology from Cornell University. Steve is a co-founder of QIC Cannabis, a Massachusetts based cultivation company and two time Harvest Cup Winner for Best Indoor Flower with their strain Davy Jones (Chem D x Casey Jones S1). Steve and Noni are married. Spends most of her free time researching cannabis past to present and everything in between. She attended the Northeastern Institute of Cannabis (NIC) in 2014 and joined MassCann shortly after in early 2015. She has worked for a certified cannabis doctor assisting patients with online registration for their MMJ card & a Massachusetts medical marijuana cultivation facility as a trimmer to Harvest Supervisor. After a year in the industry, she circled back to NIC as the Admissions Coordinator until 2016. 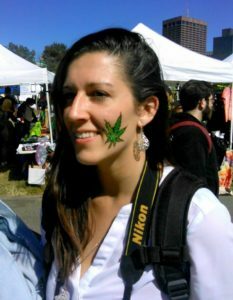 She is now freelancing with her partner setting up cannabis gardens for those growing at home. Chachi Dabs first started attending the Boston freedom rally when he was 15 . Since a young age, he has enjoyed cannabis. After high school, he became a line cook and started to grow his own medicine. In that time, he realized he enjoyed teaching people to cultivate their own when questions about his garden would come up. After some time spent fighting for cannabis in the courts, he believes the laws make it difficult for many growers in Massachusetts to grow even with legalization. Between growing and freelance cannabis photography, most of his day revolves around the plant in one way or another. He is passionate about what he does and tries his best to share what he has learned in his 15 years with the plant. First started smoking weed while demonstrating against the Vietnam War, and left the country when Richard Nixon was re-elected, hitchhiking the Hippy Trail down the Pan-American Highway. She left the cannabis community to raise a family and earn a living, acting like a model citizen until being laid off in the economic crash of 2008. 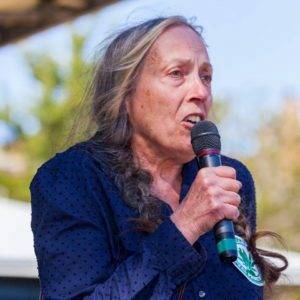 No longer facing pee tests and ballooning Pharma prices, Kathryn started growing her own meds and advocating for the repeal of Prohibition. She will be happy to retire soon, sit under her fig tree and grapevine, and smoke unafraid. Mike Clinton is a music, art and cannabis photographer that began his journey into advocacy a decade ago when he co-hosted a radio show that highlighted the underground cannabis community. A few years later Mike began his own radio show to create a local media outlet for the community. 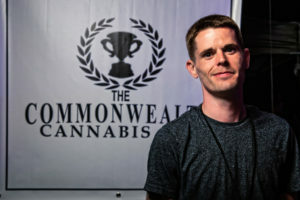 Eventually, Mike grew into hosting events including multiple cannabis competitions like the Commonwealth Cannabis Competition. Mike is passionate about music so when he began photography to help document and showcase the cannabis community it was only natural that he would drift into music and art photography. Mike currently helps individuals, caregivers, dispensaries, growers and product manufacturers with photography solutions for their businesses as well as hosting multiple social networking events throughout the year. Noni has been an advocate for inclusive Cannabis legislation since entering the industry in 2016. She is an expert in large-scale Cannabis cultivation, environmental control systems, and supply-chain logistics having previously overseen the production coordination of New York’s largest medical cultivation facility. She is a firm supporter of Massachusetts’ Social Equity program and Economic Empowerment initiative. Her grow team, QIC Consulting, was one of seven original vendors for the nation’s first Social Equity program as Cannabis Cultivation Educators. She is also on the faculty of Elevate Northeast, as well as the Northeast Account Executive for Flourish Seed to Sale Software winner of NCIA’s Best Cultivation Technology Award 2019. Noni is a co-founder of QIC Cannabis, a Massachusetts based cultivation company and two time Harvest Cup Winner for Best Indoor Flower with their strain Davy Jones (Chem D x Casey Jones S1). Noni and Steve are married. 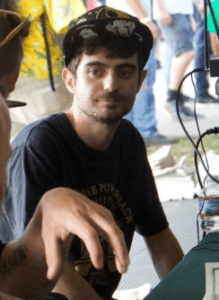 Robert first became an activist with MassCann/NORML as a volunteer in 2016 at the Boston Freedom Rally. He is a hard worker and fights for what he believes in. The Cannabis Community help guide him to study and learn more about cannabis and patients rights. He became a member in 2017 where he started to become a full-time activist. He is HIPAA certified as of 2018 and loves to educate every chance he gets. Grew up in Newburyport and has lived in Salisbury for the past 20 years. 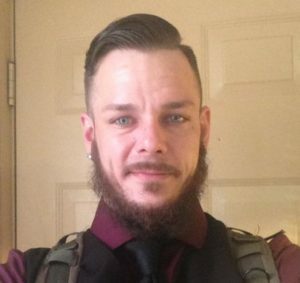 His past includes many years in the IT service industry and an enlistment with the US Army. Sam currently attends Suffolk University working towards a BS in Philosophy, Politics, and Economics, and will continue to law school. He is very active in the college and activist communities and is fiercely dedicated to the preservation of our civil liberties. 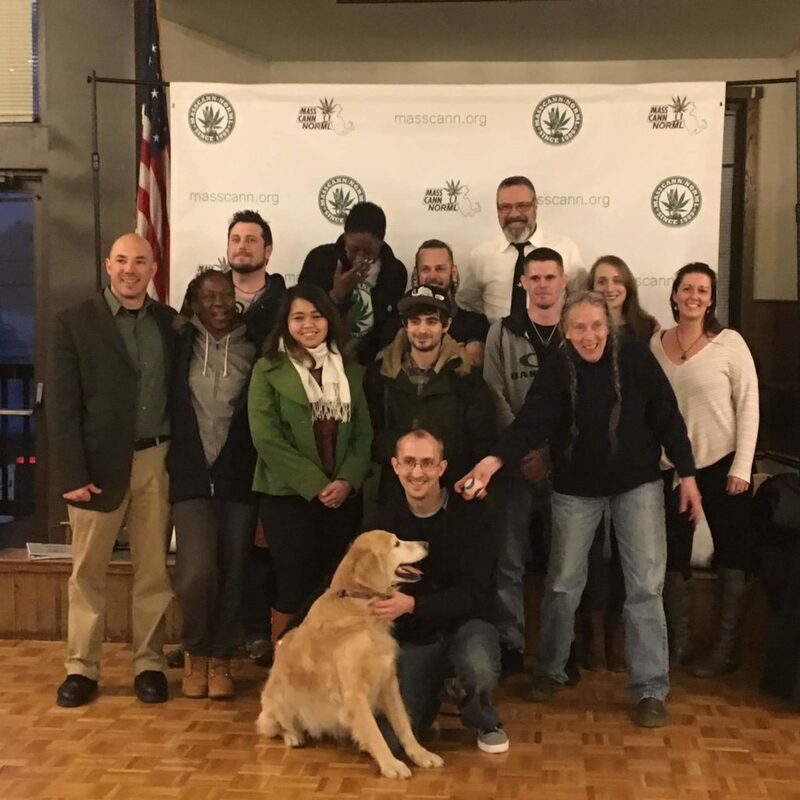 Became active with MassCann/NORML in early 2017 for Lobby Day and continued to volunteer for the organization throughout the year. She was born in Washington, DC, grew up in PG County, Maryland and moved to Marlborough, MA in 1998. 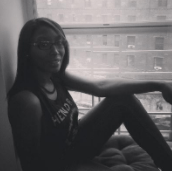 In 2002 she graduated from Marlborough High (Go Panthers) and attended St. John’s University in Jamaica Queens, NY. In only three years, she earned a Bachelor of Science in Sport Management and a minor in Communication Arts. Early in her career Shannon held some exciting positions in the sports industry, worked as an Assistant Manager at a bank, a Bookkeeper and more recently a Clinical Operations Specialist. 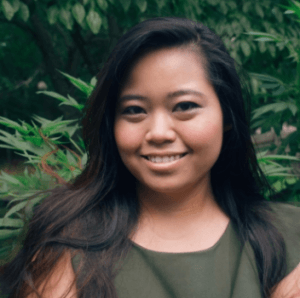 As she transitions her skills, she hopes to help diversify and promote inclusion in the cannabis industry/community with her start-up business, The Connekt. While the industry continues to grow, her most important job is raising her 9-year-old daughter and being an example of a responsible parent who likes to puff, puff, and pass (with person’s 21+ of course)!